The Figgins family has already left an indelible mark on the Washington wine industry. Gary and Nancy Figgins founded Leonetti Cellar in 1977. The winery was the first in the Walla Walla Valley, which now is home to over one hundred wineries. Leonetti, which has a thirty-plus year history of producing some of Washington’s finest wines, is also one of the few wineries in the state with a second generation Washington winemaker. Gary and Nancy’s son Chris Figgins began working at the winery in 1996. Figgins now holds the position of Chief Executive Officer and Director of Winemaking. So after more than thirty years of winemaking and with a new generation at the helm, what will the family do for an encore? 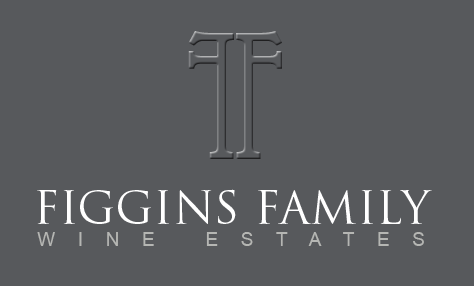 The Figgins family announced today the formation of Figgins Family Wine Estates (FFWE). This will be an umbrella company for Leonetti Cellar and two new ventures – FIGGINS and the Lostine Cattle Company. The first of these ventures is a new winery called, simply, FIGGINS. Leonetti Cellar has devoted itself largely to varietal wines from multiple vineyards. FIGGINS, by comparison, will focus on a single, Bordeaux-style blend that will come exclusively from one vineyard. Figgins was also inspired by a trip to Bordeaux. While the New World has focused largely on producing varietal wines, in Bordeaux the focus is more on finding the balance of varieties in an area that “elevate the site to its full potential.” This will be the goal of the FIGGINS wines. Like the Leonetti Cellar Cabernet Sauvignon and Reserve, Figgins plans to hold the wine back a bit before release. The first release, the 2008 vintage, will be available in the fall of 2011. The winery plans to make approximately 900 cases initially and grow slowly over the next ten years (mailing list sign-up is open). The second new venture under the FFWE umbrella is the Lostine Cattle Company. The company is named after the ranch site, which is located in the Wallowa Valley in Oregon’s northeast corner near the Lostine River. The valley is on the other side of the Blue Mountains from the Walla Walla Valley. While winemaking and beef production may seem dissimilar, Figgins believes this is far from the case saying, “I am constantly amazed at how winemaking parallels producing high quality, grass-fed beef.” Figgins cites the common importance of site selection and farming techniques. Figgins describes Lostine Cattle Company as the, “antithesis of modern day beef production” (indeed he sites ‘The Omnivore’s Dilemma’ as part of the inspiration for the business). With Lostine, Figgins plans to take the same, sustainable practices championed by Leonetti Cellar and apply them to beef production. For cattle, Lostine will use the Scottish Highland breed. The cattle will be free range, feeding on grass from an organically farmed pasture. Figgins is also experimenting with feeding the cattle pomace – the solid remains of grapes after pressing – each year during crush. Figgins says growing up, he would watch cattle “literally run” to eat the pomace shoveled behind the winery (I think many consumers would too). The beef will be sold direct to consumers starting in the fall of 2010 (read more about Lostine Cattle Company here). With the new releases, Chris Figgins continues to put his own imprint on the Leonetti wines. Figgins began to exert greater influence over the family’s winemaking around 2000 as he assumed responsibilities from his father. In particular, Figgins has emphasized making wines that are more “vineyard-driven instead of style-driven.” This has resulted in the use of less new oak to emphasize fruit aromatics and flavors as well as a number of other changes. These changes have also coincided with the winery’s transition to using exclusively estate fruit for its wines. 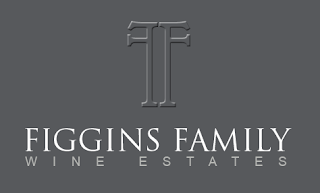 With the formation of Figgins Family Wine Estates and a series of new ventures, many people might be content. Figgins however looks to continue to push boundaries and explore new directions. In this way, he seems sure to not only broaden Leonetti’s imprint but also leave one that is distinctively his own. Rating: ** (Exceptional) An outrageously enjoyable nose with toasty smoke and oak spices floating above earth aromas, licorice, and high-toned cherries. Rich but elegant on the palate with penetrating cherry fruit and a firm backbone of tannins. A seemingly endless finish. A beautiful expression of Walla Walla fruit in general and Leonetti estate vineyards in particular. Stands tall among the best wines produced in the exceptional 2007 vintage. Give three years to five years. 76% Cabernet Sauvignon, 17% Merlot, 4% Carmenère, and 3% Malbec. Loess, Mill Creek Upland, and Seven Hills vineyards. Aged 22 months in new and neutral French and American oak. Rating: * (Excellent) This is the first time Leonetti Cellar’s Merlot has been 100% variety since the 2000 vintage, a reflection of winemaker Chris Figgins’ confidence in the fruit from this vintage. A complex nose with silky oak aromas mixed with bittersweet chocolate, earth, black licorice, and red and black fruit. Tightly wound at present on the palate with abundant cherry fruit and lithe tannins. Give two to three years. 100% Merlot. Loess, Seven Hills, Pepper Bridge, and Mill Creek Upland vineyards. Aged 15 months in new and used French oak. Is this a Corliss-ian trend over there in Walla, to hold back a wine for at least an extra year...or four? I admire the trait, but really, is it necessary? QC doesn't hold back. Betz doesn't hold back. DeLille, nope. As for the side-of-beef farm too, I am now on-the-clock and waiting for a winery to open up a fromagerie. Seriously, who's going to buy that stuff? Upscale, hoidy-toidy winos? What about the masses? Leonetti wines aren't priced for the masses, why should their beef be? This news is really meant for the ears of a very small percentage of consumers. And while the gap may be widening, the plethora of quality, 20-and-under labels grows by the year. At least WA has that going for it. Josh, I don't know what the economic climate is in your area, but over in Woodinville (and Puget Sound), Leonetti wines were found at Costco for a limited time, with the sangio being sub-$60. It sold out in a couple days. Same with the merlot at under $70. Now, Leonetti's reserve cab is a whole 'nother matter. Grass-fed beef is easy to find. Corn-fed beef has better marbling. Good luck if they price themselves out of the market. WAwineman it is a point of pride that we don't attempt to compete at the lowest rung of the wine ladder such as "...Golden Gate, Charles Shaw, Gallo and all the other Cali crap out there..."
Yes there are too many overpriced wines from the northwest, but that has been a trend that consumers have rewarded for the last 4 years. I would expect to see some more changes coming in terms of affordable quality wine. Found three assorted cases of Leonetti at our local Yokes, not behind the locked glass vault, but on an end cap. Never saw that before. Prices were $15 above the list prices from the winery. That was two weeks ago. Today, it was all gone. Slow economy hasn't stop the high end wine from still being sought out, probably opened it up to more of the masses. The prospects of the Leonetti new venture is is interesting. I'm sure this has been well thought out by the Figgins. I'm curious if Drew Bledsoe and his Doubleback are somehow involved. And WAwineman your point about the widening gap is true there is still great wine value out there, (Columbia Crest 2005 Cab Reserve was $27 on release), and in a "hide-it-in-a-paperbag" taste test, I'll stack their $5.99 vineyard 10 Red up against the best. It may not win, but it will beat a whole bunch of $30-$60 bottles.